The policeman who caught and enforced the moped rider while passing through a bridge. If it explains instead of a rider, it is surely necessary to unite with the traffic flow on a bridge without an escape way. This is for him not to die, also for car not to interfere. 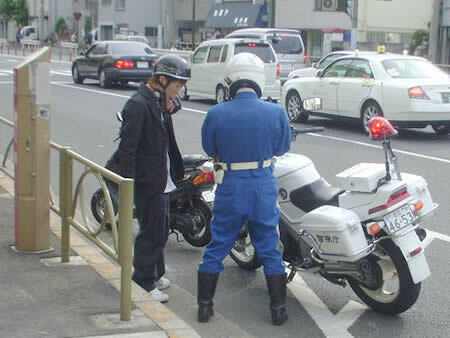 Although the policeman knows the situation of a motorbike, he just say "Violation is violation. ".